Apples = September for me. It's the start of the school year so everyone thinks of giving an apple to the teacher.. well they used to do that in the olden days. It's also apple harvesting time and you can find a beautiful bounty of apples to chose from these days. 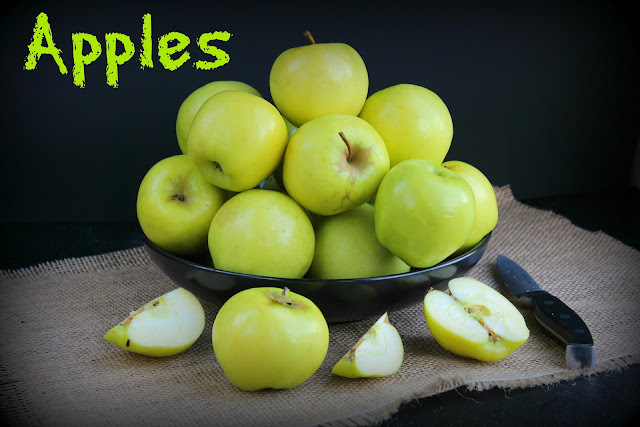 My favorite apples are Granny Smith, Golden Delicious, McIntosh and Gala. I got a good deal on Golden Delicious apples the other day at the grocery store so I decided to throw some into a cake. This cake tasted like apple pie. I was thrilled to bits because husband and mother both flipped for this cake. I love when people react like that to something I make... especially something I baked. I think I will have to make this easy cake recipe many more times to celebrate fall this year. ** ingredients on box cake mix. I always substitute milk for the water in the recipe. 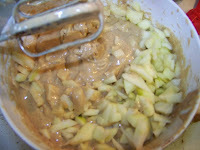 Mix cake batter and add ground spices. The fold in the two cups of apples. 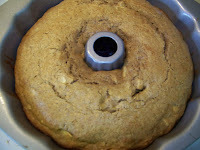 Grease or spray a bundt cake pan well. 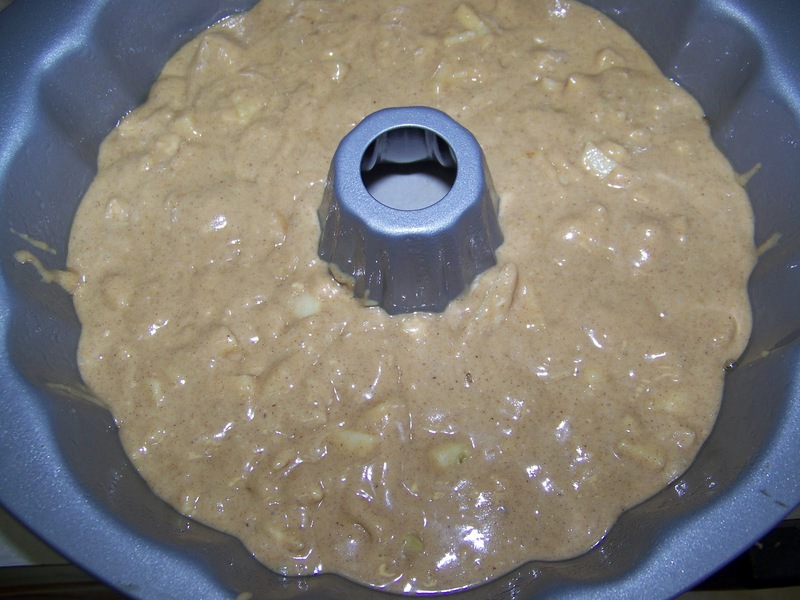 If you decided to do the optional topping mix the cold butter and brown sugar. 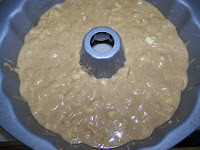 Place the mixture on the bottom of the bundt pan. 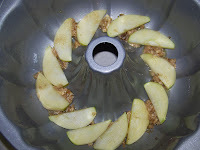 Arrange apples slices around bundt pan as shown. 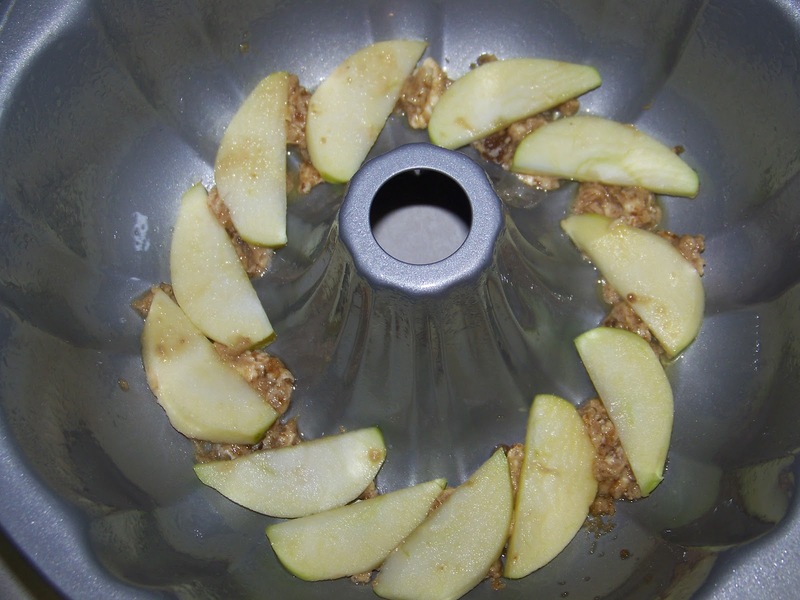 Pour batter over apples in pan and bake in a 350 degree oven for 45-55 minutes. Mine was done at 50 minutes. Test with a wooden skewer or a butter knife near the center of the bundt to check. Allow cake to cook in pan for 30 minutes and then invert onto cake plate. Enjoy. 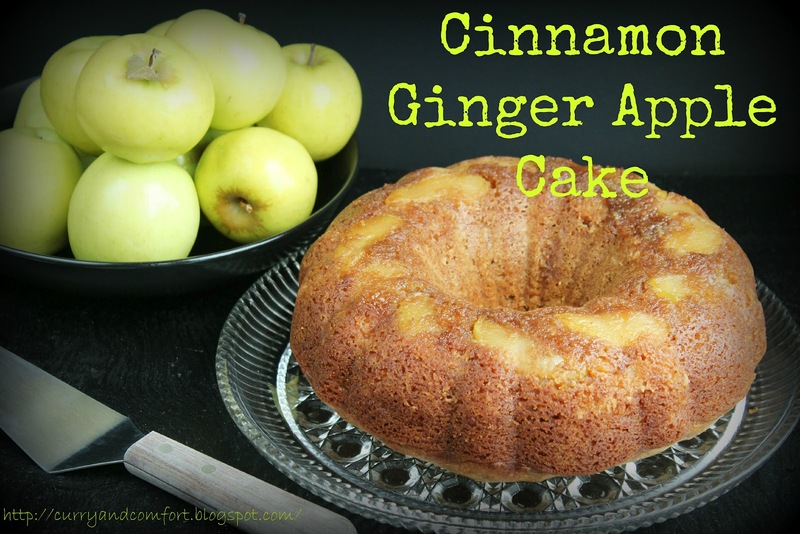 This cake sounds like the perfect way to celebrate fall! Congratulations on making the top on daily foodbuzz! It is refreshing to see you on there. You deserve it! Mouth-watering! I love apples and all apple desserts. Your cake looks perfect and I could really go for a slice. Or two. Or three? I am not surprised your MIL and hubby loved it so much. It looks really moist and delicious! OK, now this makes two in a row that I must make!!! 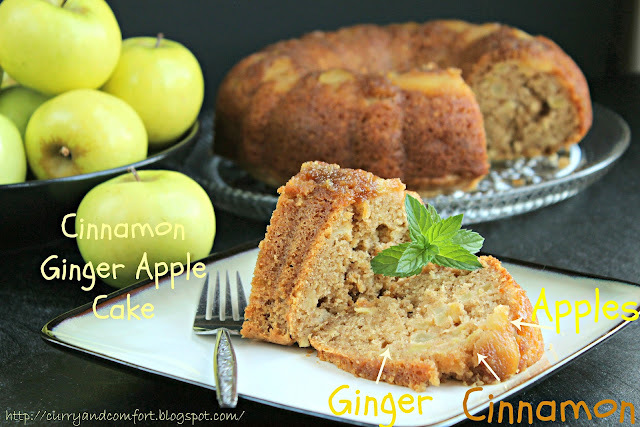 I adore apple cake..and yours is a beauty!!! 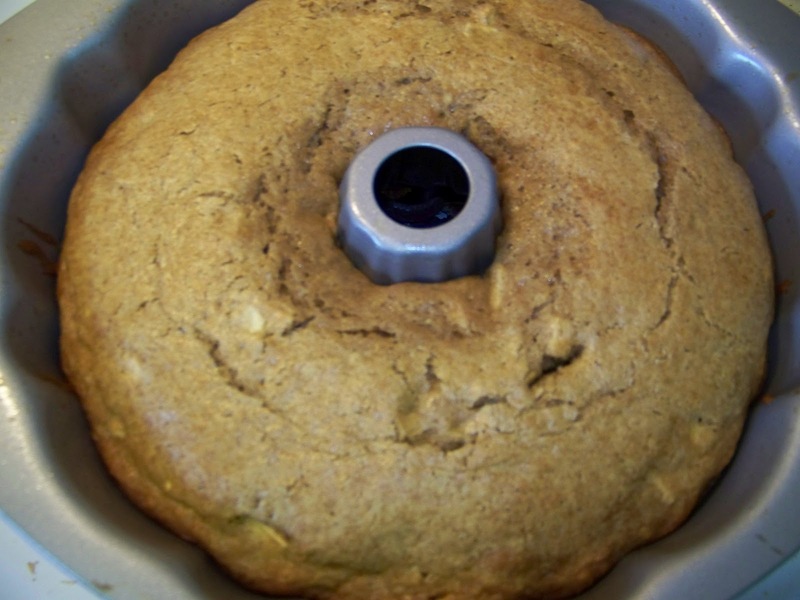 Oooh, your bundt cake looks wonderfully moist. Yum! I really need to get a bundt pan. This cake looks amazing! I love the idea of an upside down bundt cake. It looks so moist and tender. This cake is beautiful, Ramona! Fall is my favorite season and this cake just about sums it all up! Yummy yum and congrats on the DailyBuzz recognition. Tis the season for apples! You rock my world Ramona. This is spectacular. I love apple cake. Again, your photos are making me hungry and we just finished lunch! I love the combination of flavors here-this cake totally says "fall" to me too. I really love your shot of the apples too! Sorry I haven't been around much lately. Hopefully my schedule will clear up and I can catchup with everyone. I am not a good baker. Made this today and it came out perfect! YUMMY. Thank you!